Many women think that brown eyes don’t have their own set of rules when it comes to complementary makeup colors. However, this is definitely not true. 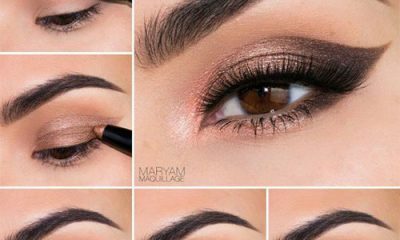 Brown eyes might not have any bright color of their own, but there are still certain eye makeup colors that work well with them and others that just don’t. In fact, it’s a common misconception that brown eyes don’t radiate any of their own colors. Most brown eyes include flecks of different colors, like gold or green or gray or even blue. These flecks of color aren’t always obvious. 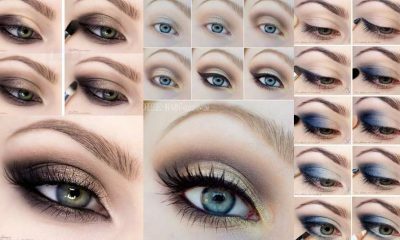 However, they can be made more so using the right eye makeup colors. Applying complementary eye makeup colors is transformative for the appearance of your brown eyes. Using the right colors not only brings out the colors that are likely lurking within the backdrop of brown. It also brightens your brown eyes and helps them appear wider and more vibrant. In conclusion, making an effort to only include complementary colors in your eye makeup looks is definitely worth it. This simple change can make a huge difference in the way your makeup looks and in your appearance as a whole. Neutrals look gorgeous against brown eyes. While some neutral colors can subdue the appearance of blue or green eyes, they create an absolutely lovely frame for brown eyes. You can use a blend of neutral shades to produce looks for any occasion from everyday wear to a formal event. Tightlining your eyes involves using pencil eyeliner to line the inner rim of your upper eyelid. 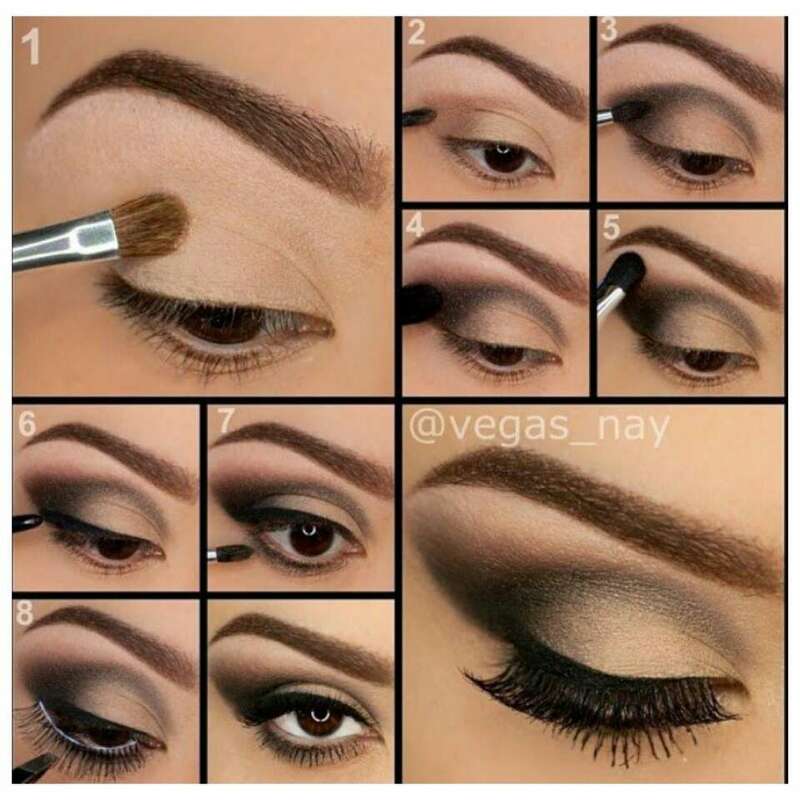 Then, you can apply your eyeliner to the top of your eyelid as you normally would. Tightlining is a technique that looks great on almost everyone. However, it is especially flattering if you have brown eyes. The darkness of the liner against your eyes helps your irises stand out more clearly. Women with brown eyes often stay away from bronze or copper eyeshadows because they think these shades will match their irises too closely. On the contrary, using warm shades of eyeshadow brings out the warmth in your brown eyes. If you have gold or green flecks in your irises, using warm gold or bronze eyeshadow shades helps make these colors more obvious. A blend of neutral eyeshadows with dark, dramatic eyeliner is the perfect combination for brown eyes. 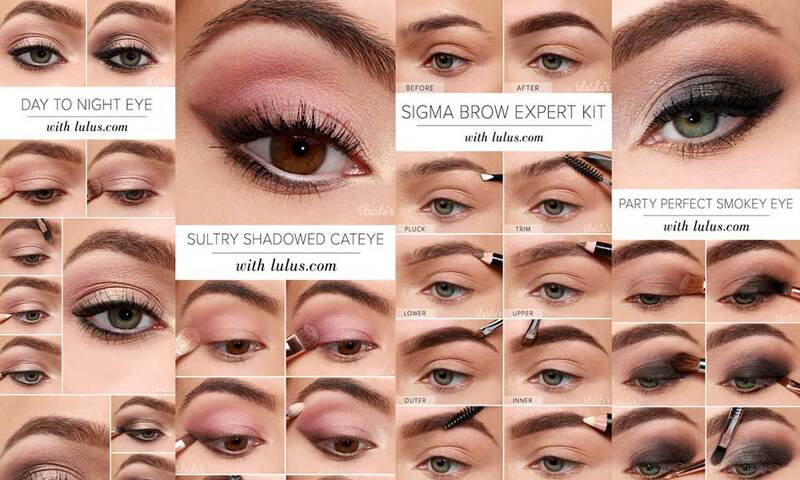 The neutral shades of eyeshadow help your brown eyes stand out and appear warmer. Then, the frame of dark, winged eyeliner like in the look above helps the whites of your eyes appear whiter and brighter. Pink is a complementary color for brown eyes. 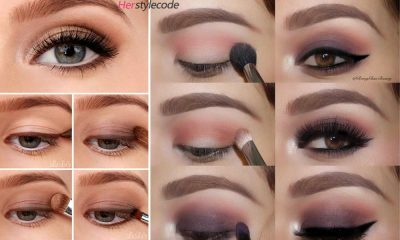 If you’re aiming to create a fun and colorful look that complements your brown eyes, using pink eyeshadow is a great way to do it. The bright, warm color brings out the warmth in your brown eyes and helps make any gold flecks in your irises more obvious. 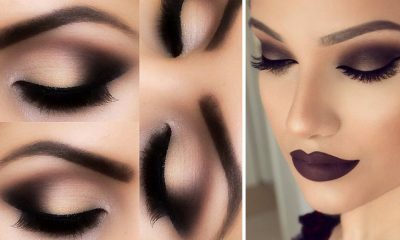 This gorgeous look creates a dramatic, nighttime look using a blend of neutrals. 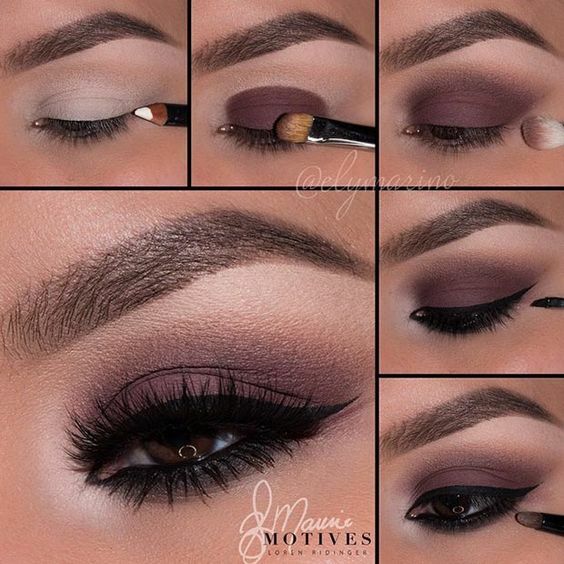 The cool gray accent in this look complements brown eyes. Surprisingly, blue or gray flecks are often hiding within brown eyes. This looks brings out any cool tones within your irises for a stand-out finish. 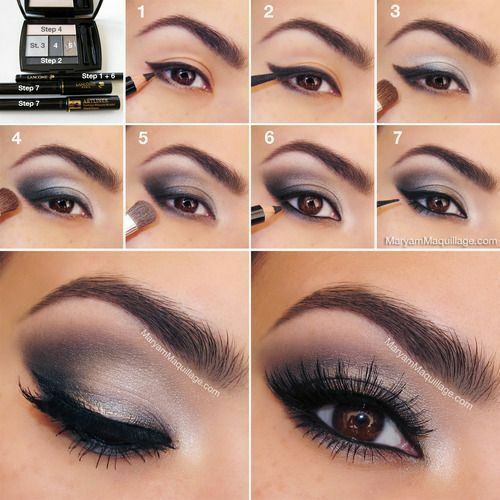 This eye makeup look is all about gray and it works perfectly for brown eyes. It includes a variety of shades of gray from a pale, shimmery silver to a dark, matte charcoal. This blend of shades and finishes is brings out the cool tones in your brown eyes and helps them appear brighter and more clear. Purple is another color that is beautifully complementary for brown eyes. If you’re sick of neutrals and want to try a brighter color, purple is an excellent option. The darkness of purple dramatizes the appearance of brown eyes. Plus, its cool tone brings out any cool-colored flecks within your brown irises to create a gorgeous finish. As stated earlier, pink is a very complementary color for brown eyes. 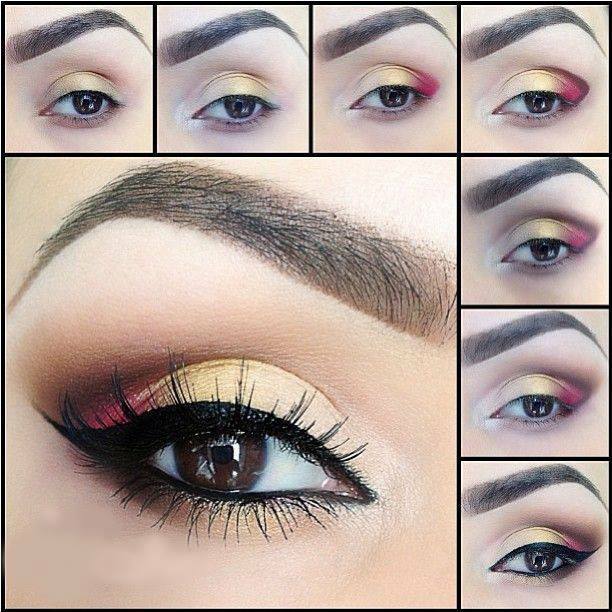 However, incorporating pink within your eye makeup looks doesn’t have to mean creating a super bright and colorful look. In fact, as you can see within the look above, pink can be used to produce simple, everyday looks that are very much wearable. The look above uses a blend of pinky shades to create a warm look that brightens your brown eyes and brings out their warm tones.